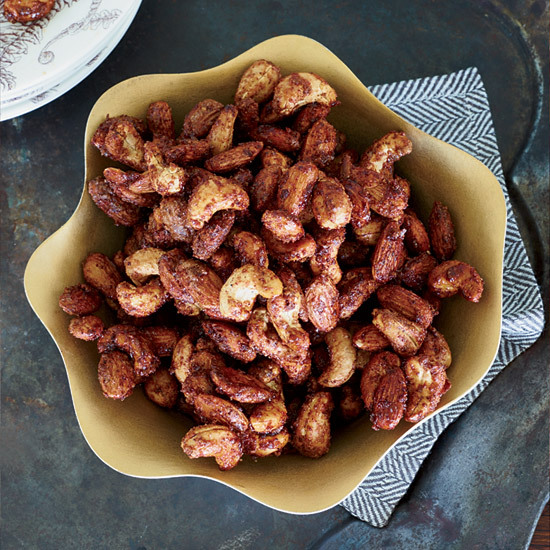 Supereasy and delicious, crunchy spiced nuts are the perfect Super Bowl party snack—and a great break from the usual potato chips. 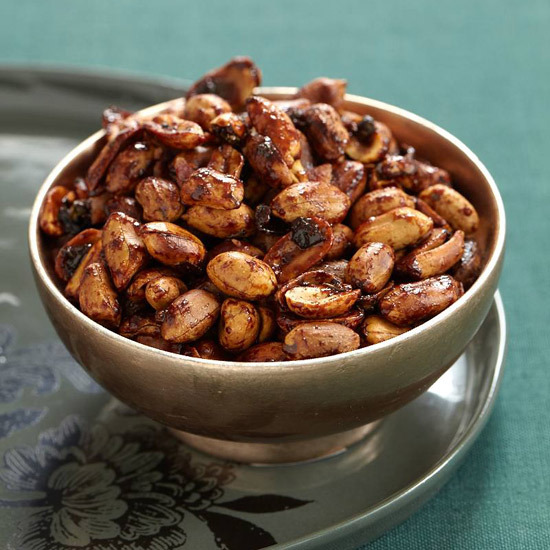 From tangy, Thai-inspired peanuts to a sweet-savory bacon-studded mix, here are five snack recipes to win any Super Bowl party. "They hit a lot of spots on the tongue," chef Bronson van Wyck says about these nuts. He tosses cashews and almonds with cinnamon, salt and sugar. Warm, cumin and garlic-spiked chickpea nuts are terrific with a cold beer. 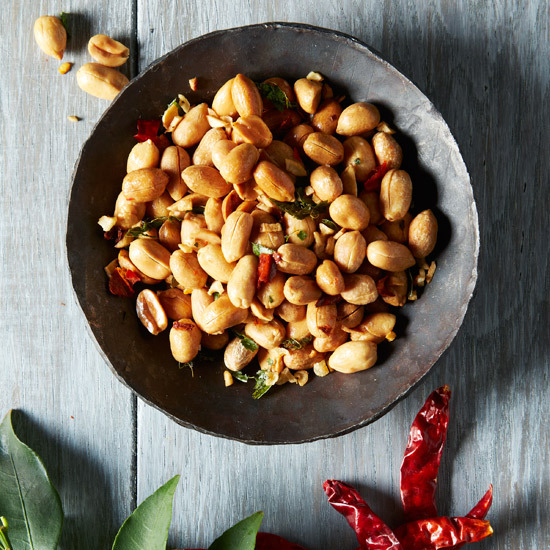 Fried kaffir lime leaves and dried red chiles star in this crunchy Thai-inspired nut mix. 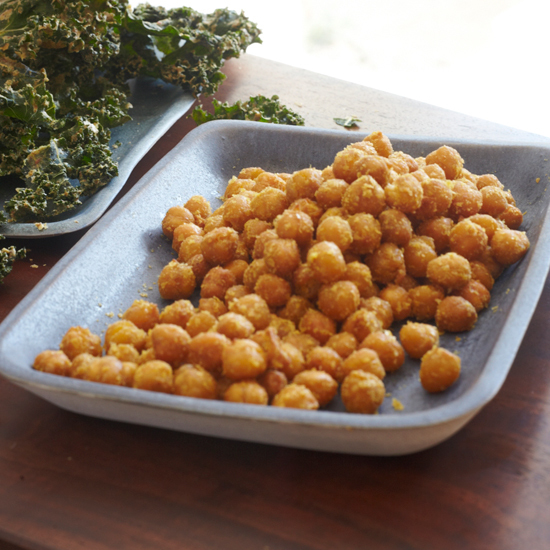 Toasting nuts briefly in the oven makes them crispy but tossing them with falafel mix first makes them even crunchier. 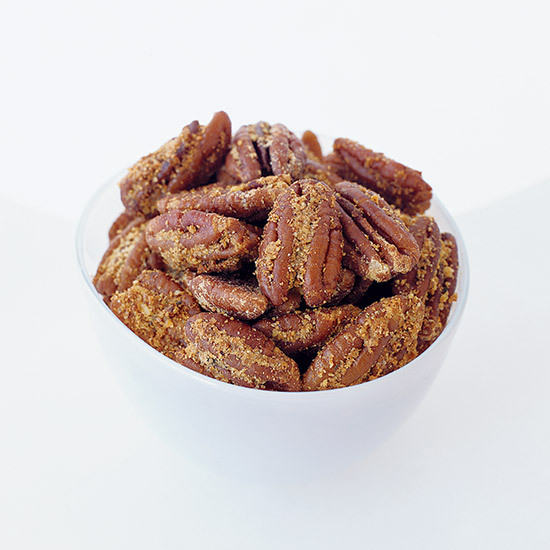 This sweet-salty snack can easily be made ahead of time.